Dealer to Dealer: ALL the Bells & Whistles? When a bike arrives new in the box and includes a bell (regardless of size), do you leave it on, include it separately with the bike, or remove it? Even many of the Marin mountain bikes include them. Typically—8 out of 10 times—I don’t include them. Should I be including them? What do others do? We install them. We view them the same as reflectors, like they are a safety piece. Like saddles and pedals, I don’t think mid- to upper-level bikes should include bells, lights, and the like—something I’ve been mentioning to deaf ears at the suppliers for years. Saddles and pedals are something personal, and accessories are a profit category. Still, we put them all on. 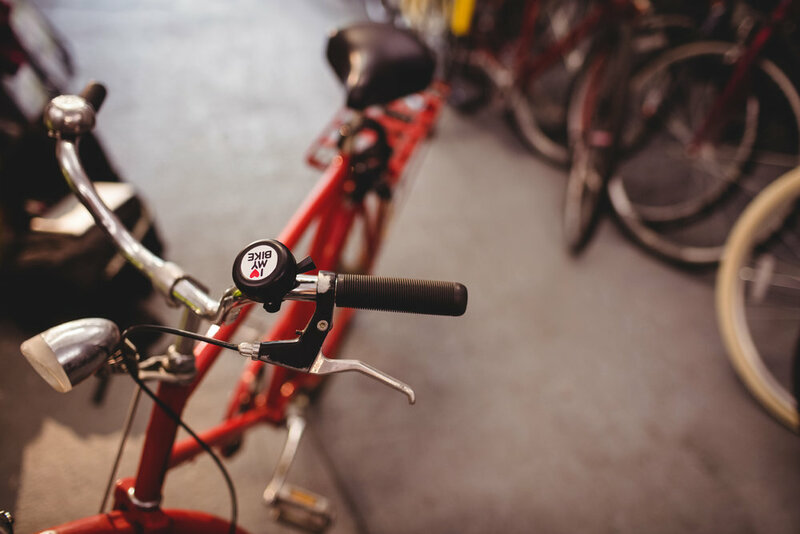 Our customers can bring back a bike later, and ask for us to remove them, but we still recommend as much visibility as possible. Instead of asking, “Will you be riding after dark?" we ask “Will you be on roadways where there are cars, pedestrians, or any other sort of traffic?” And if they tell us, “I only ride during the day,” we tell them they’ll want an even brighter blinky light than what they’d want at night. Pretending to be a lawyer here: "Mr. Professional Bicycle Retailer, would you inform the jury of any safety items that shipped with my client’s bicycle that you arbitrarily decided to deprive my client of?" I’d have a hard time explaining why I imposed my safety biases on a new bicycle customer. I put all of the safety items on—including reflectors on all levels of road bike—and let the customer decide. To be clear, I do install all of the reflectors that come with the bike. Each customer signs our buyer’s agreement, which states that their bike comes with front, rear and wheel reflectors. It's typically BMX riders who tear them off—and many times the brakes, too—before they even leave the store. When they’re signing, I let them know the rules of the road—especially that the State of Minnesota actually requires a headlight after sunset (though seldom do I get the upsell at the time of initial purchase). When I send each customer a ‘thank you,’ I include a list of things (including lights) that people often buy following the purchase of a bike. Bells are an easier upsell, especially on youth bikes, since most kids seem to want one with Spider-Man, flowers, a skull or some other emblem on it. Often, when its a child's birthday and they come in for a bike, I have a tendency to give the child a bell, which makes me look generous (more generous, in fact, than when I’ve just knocked $25 off the bike, because the parent feels they have to haggle). Add your voice to the conversation in the comments below! These posts have been edited for clarity and length. The NBDA Dealer Forum is where independent bicycle retailers can share news, opinions and advice about their businesses. It is open exclusively to NBDA dealer members, any of whom may join. To subscribe, go to nbda.com.